I'm sure enjoying this lovely early fall weather. Cool nights and nice day are good for all of us. The flies have let up considerably and calves are laying on that fall pay weight on the taste of green grass that has popped up. It's amazing what even a little rain can do. The young PBR phenom, Jess Lockwood of Volberg, Mont., will be out for at least four weeks with four broken ribs, a punctured lung and lacerated kidney. He's currently at #3 in the standings, so he will still make the finals on Nov. 1-5 in Las Vegas. The 20 year old got stepped on when he came off of Blue Magic at Uniondale, New York. Our best wishes go out to him for a speedy recovery. Being young sure helps that. The last northern UBHA (United Bucking Horse Association) futurity will be Oct. 7, when the Bucking in the Bakken gates swing open. It will all be dummy bucking of yearlings, twos and threes, so it's a view of what the "kids" of the bucking horse world have to offer for next year. It will start at 1 p.m. in Watford City, N.D. I hope to see some of you there. Nominations are being accepted now for the Cowboy State Stallion Incentive. Nomination deadline is Nov. 31. This newest incentive in Wyoming paid out over $30,000 in 2017 and 2018 will be even better. Check it out on http://www.reddesertfuturity.com or call 307-760-0789. Gillette College will be hosting a barrel race on Oct. 11 at Gillette, Wyo. It's an open 4D with youth 15 and under division as well. Exhibitions will be from 4 p.m. to 5:30, entries close at 5:30, and the youth barrels start at 6. It's cash only. Call Ginger LaDuke for more info at 307-680-8975. Enrollment is open for the Homegrown Incentive Stallion Classic. It's open to stallions from N.D. And within 200 miles of N.D. The idea is to help promote the homegrown stallions in the northern region. The 2018 enrollment form can be found on the site on Facebook. There will be team sorting at Circle T Arena, Hermosa, S.D. on Oct. 15, then at the Event Center in Rapid City, S.D. on Nov. 5 and Dec. 3. They will number cattle at 9 a.m. And the sort starts at 10. It's potluck so bring some grub! Call Sherry Sidle for more info at 605-381-3781. The Wright Turn Barrel Series starts in Wright, Wyo. On Oct. 19, then Nov. 12, Dec. 17, Jan. 14, Feb. 25, with finals Mar. 4. Make up date will be Mar. 10 if needed. Call Lori Robinson at 307-756-2342 to learn more. Five time World Champion, three time WNFR average champion Luke Branquinho will be holding a steer wrestling clinic Oct. 21-22 at Trumbull, Neb. It's $350/person, $100 non-refundable deposit and they are only taking 20 students. Call 402-705-3177 for more info. Lisa Lockhart, the darling of Oelrichs, S.D. and everywhere else, will be the instructor at a clinic at Wright, Wyo., on Oct. 24-25. It's $550 with a $250 non-refundable deposit to hold your place. 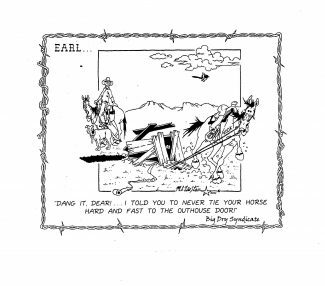 It's for age 13 and over and horses that know their leads and can lope the pattern. A one day "advanced" clinic is scheduled for Oct. 26 for previous clinic participants. Message Lindsey O'Keeffe on Facebook to get the details. The annual Headless Horseman barrel race will be Oct. 28-29 at the All Seasons Arena, Bowman, N.D. It's NWBRA and WPRA approved with a minimum $800 added. There's also cash prizes for the costume contest. You can download an entry form and info sheet at http://www.millerranch.net under Triple Turn Classic. The Dakota 50/50 Futurity and Sale will be Nov. 3-5 at Fargo, N.D. This year there will also be an AQHA Ranch Horse Versatility competition open to any AQHA horse, not just the 50/50 sale alumni. Plus, there's an open barrel race. The entry fee for the barrels is $100 and has to be paid before Oct. 13. Preference is given to 50/50 alumni and is limited to 25 horses that are five years and older. You can find the entry forms at http://www.dakota50-50.com. Well, that's my pretty big circle for this week. 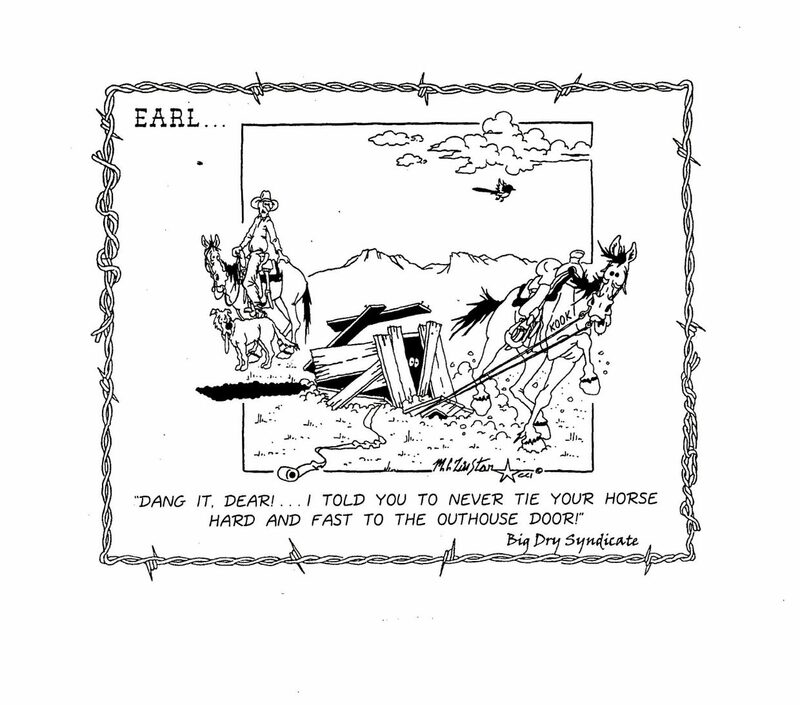 I'd better go put my horse up and call it a day!